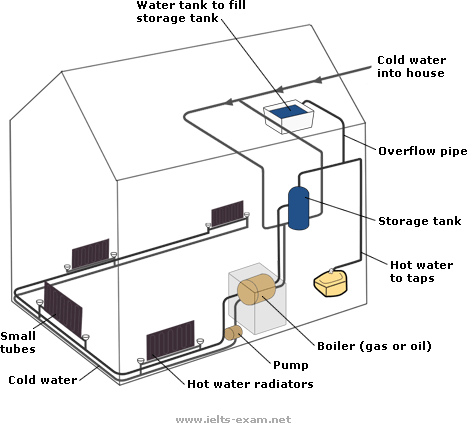 This diagram provides an overview of a domestic central heating system. It shows how the tank, boiler and pipes ensure a constant flow of hot waterto both the radiators and the taps. Structures: An appropriate mix of active and passive structures and a range of sentence types are used.